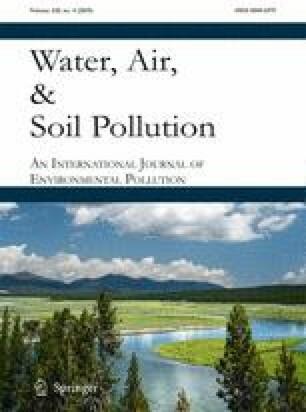 The California Department of Pesticide Regulation conducted indoor air monitoring to estimate sulfury fluoride (SO2F2) emissions that bystanders around fumigated houses were potentially exposed to during structural fumigation of residential houses. Monitoring was conducted for 23 fumigations between September 2014 and March 2015. The SO2F2 indoor concentrations were measured from four locations inside the fumigated houses once an hour. The decreases of indoor concentrations are due to gas leakage (treatment period) and aeration (aeration period) from the structure to the outdoor environment. Analysis on the monitoring data showed considerable variability of half loss time (11–60 h) and mass loss (22–81%) during treatment periods. The decline of indoor concentrations followed the first-order kinetics; therefore, the hourly flux (g/m2s) of a treatment period can be calculated using initial SO2F2 concentration, treatment period mass loss, and house height. Although the California Aeration Plan requires a minimum 12–24 h of aeration after a treatment, the monitoring data showed that 93 ± 5% of the mass at the end of the treatment periods was emitted through the ducting system within the first 2 h. The average ratio of the loss amount in the first hour to the loss in the second was 6:1. These monitoring results provided the critical input for the computer modeling to estimate bystander exposure during structural fumigations of residential houses. The author wants to thank Air Program staff of CDPR Environmental Monitoring Branch for their hard work in the air monitoring. CDPR would also like to thank Cardinal Professional Products for lending a Remove Data Acquisition (RDA) Fumiscope® to conduct the air monitoring. California Department of Pesticide Regulation. (2013). Pesticide use enforcement program standards compendium, volume 4, inspection procedures, appendix 6, California aeration plan (CAP). California Department of Pesticide Regulation, Sacramento, CA 95812. http://www.cdpr.ca.gov/docs/county/cacltrs/penfltrs/penf2017/2017atch/attach0601.pdf (accessed 10 April 2018). Gosselin, P. (2007). Risk management directive for sulfuryl fluoride. Memorandum to Jerry Campbell, April 6, 2007. California Department of Pesticide Regulation, Sacramento, CA 95812. http://www.cdpr.ca.gov/docs/whs/pdf/sulfuryl_fluoride_rmd_040607.pdf (accessed 10 April 2018). Kollman, W. (2006). Environmental fate of sulfuryl fluoride. California Department of Pesticide Regulation, Sacramento, CA 95812. http://www.cdpr.ca.gov/docs/emon/pubs/tac/tacpdfs/sulfluor/final_rcd_vol3.pdf (accessed 10 April 2018). Lim, L.P. (2006). Sulfuryl fluoride (Vikane®) risk characterization document, executive summary. California Department of Pesticide Regulation, Sacramento, CA 95812. http://www.cdpr.ca.gov/docs/emon/pubs/tac/tacpdfs/sulfluor/rcd_exec_sum.pdf (accessed 10 Apr 2018). Tao, J. (2015a). AERMOD modeling for two air monitoring studies of structural fumigation with sulfuryl fluoride. Memorandum to Pamela Wofford, July 16, 2015. California Department of Pesticide Regulation, Sacramento, CA 95812. http://www.cdpr.ca.gov/docs/emon/pubs/ehapreps/analysis_memos/tao_sulfuryl_fluoride.pdf (accessed 10 Apr 2018). Tao, J. (2015b). Summary of indoor air monitoring for sulfuryl fluoride structural fumigation. Memorandum to Pamela Wofford, September 17, 2015. California Department of Pesticide Regulation, Sacramento, CA 95812. http://www.cdpr.ca.gov/docs/emon/pubs/ehapreps/analysis_memos/2542_sf_indoor_air_monitoring_summary.pdf (accessed 10 Apr 2018).